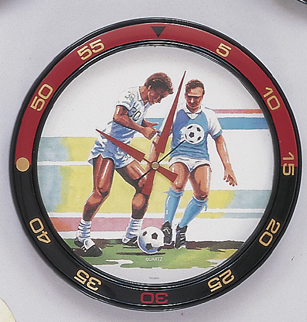 An 11.5″ Soccer Wall Clock with two male players. 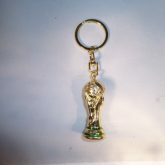 Quartz clock movement requiring 1 “AA” size battery that is included. 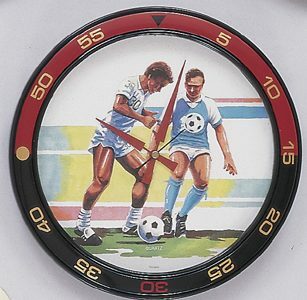 All clocks are tested before shipment. 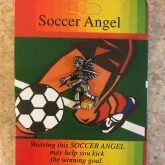 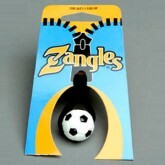 This is a great gift or soccer decor item for the soccer enthusiast.